Mixed Veg Rolls and Kebabs are an amazing snacks or side dish, specially for kids. 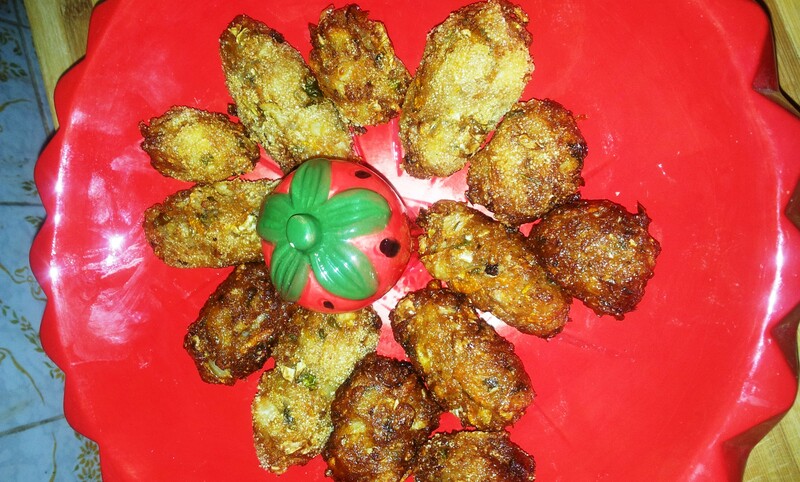 You can serve the veg kebabs as starters by making it in the shape of kebabs. It is purely an Indian dish. Mixed Veg Rolls are made with many vegetables. You can give variations to the mixed veg kebab by adding many other vegetables that are easily available in market. If you are health conscious, instead of deep frying, you can shallow fry. The scrumptious taste of the mixed veg rolls or kebabs are everlasting. You can make these veg rolls with two to three vegetables also. It totally depends on you. Different vegetables have its own speciality and taste. Some are rich in vitamins, proteins or minerals. Some are low in fat and calories. Keeping this in mind, I made these rolls with 4-5 vegetables and, yes, I deep fried them. If you are making this dish for more than 4 people you can increase the ingredients according to the quantity of servings. This dish is a super hit among all age groups, young and old. I can very well say that as my daughter is very choosy when it comes to food. So I thought of making something refreshing plus healthy. 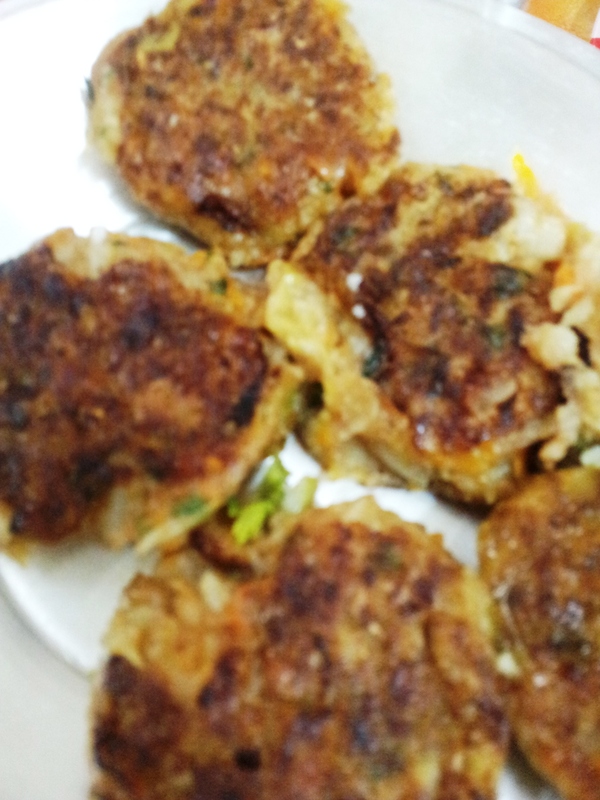 And, then, I made these delightful kebabs and she liked them a lot. On the whole I was too happy to know that she like the veg rolls. I can say if you have kids at home, you should try these kebabs or rolls, whichever way you want, and treat them. Get ready to have a delectable taste of Mixed Veg Rolls and Kebabs. Boil all potatoes. After boiling cool and peel. Mash them very well. Wash all the other vegetables and chop them finely. Now, transfer them along with the mashed potatoes into a big pot. Add cornflour, cumin (zeera) powder, garam masala, red chilli powder, salt and finely chopped coriander. Mix well and make it in the shape of rolls or kababs. In a wok or frying pan, heat oil for frying; put it on high flame. In a small bowl, take maida (all-purpose flour) and add water to make a thin batter. In a dish pour all suji or semolina. Take the veg rolls in your hands and first dip them into the maida batter then roll it into the suji and immediately put the rolls in hot oil for deep frying. Do not overcrowd the frying pan. 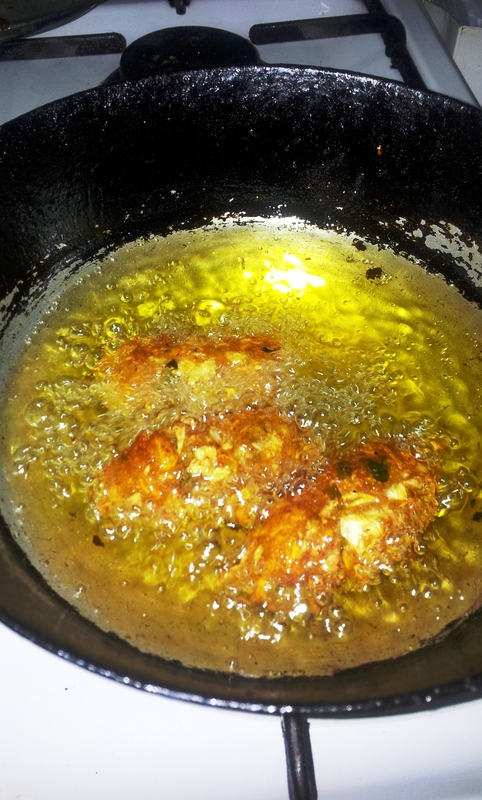 Repeat the process to fry rest of the rolls.. Fry the rolls until golden brown. Take out all the mixed veg rolls in paper towel to remove excess oil. If you want to make the rolls crispy then only dip the rolls in maida batter otherwise cornflour is sufficient. It totally depends upon you what you like the most. Dipping in maida batter is totally optional. The process till the mixing of all ingredients is same. If you want to make the kebabs, you just need to divide the dough in small portions and make them in the form of patty or tikki. Shallow fry these kebabs or tikkis. Mixed veg rolls or Kebabs are ready to be served. Put them on a serving plate and have along with the green or tamarind chutney. No doubt, everyone will ask you to make it again! Tip: You can give the kebabs or rolls different shapes.